Aveiro ([aˈvejɾu] or [ɐˈvɐjɾu]) is a city and a municipality in Portugal. In 2011, the population was 78,450, in an area of 197.58 square kilometres (76.29 sq mi): it is the second most populous city in the Centro Region of Portugal (after Coimbra). Along with the neighbouring city of Ílhavo, Aveiro is part of an urban agglomeration that includes 120,000 inhabitants, making it one of the most important populated regions by density in the Centro Region, and primary centre of the Intermunicipal Community of Aveiro and Baixo Vouga. Administratively, the president of the municipal government is José Ribau Esteves (elected by coalition between the Social Democratic Party and the Democratic Social Centre, who governs the ten civil parishes (Portuguese: freguesias). The presence of human settlement in the territory of Aveiro extends to the period associated with the great dolmens of pre-history, which exist in most of the region. For a long period Aveiro was an important economic link in the production of salt and commercial shipping. It was a centre of salt exploration by the Romans and trade since 26 January 959 (from the testament of Countess Mumadona Dias to the cenóbio of Guimarães). During this testament, Mumadona Dias also highlighted the ancient name for Aveiro, referring to the monastery's lands in Alauario et Salinas, literally, "a gathering place or preserve of birds and of great salt". The Moors invaded and then held it until the 11th century, after which it became popular with Portuguese royalty. Later, King João I, on the advice of his son Pedro, who was the donatary of Aveiro, requested the construction of fortification walls. King D. Duarte conceded in 1435 the privilege of providing an annual duty-free fair, later referred to as the Feira de Março (March Fair), today still an annual tradition. The Princess St. Joana, daughter of Afonso V lived in Aveiro, entering the convent of Jesus, and lived there until her death on 12 May 1490. During her life her presence brought attention to the town, and favoured it with an elevated level of development for the time. The first charter (foral) was conceded by Manuel I of Portugal on 4 August 1515, as indicated in the Livro de Leituras Novas de Forais da Estremadura. Its geographic position along the Aveiro River had always helped it to subsist and grow, supported by salt market, fishing and maritime commercial development. By the beginning of the 15th century, there already existed a great wall around the historical centre, intonating the significance of the community and growth of the population. This included the founding of many religious institutions and their supports, which assisted during the 17th and 18th century crises associated with silt in the waterway. In the winter of 1575, a terrible storm closed the entrance to its port, ending a thriving trade in metals and tiles, and creating a reef barrier at the Atlantic Ocean. The walls were subsequently demolished and used to create the docks around the new sand bar. Between the 16th and 17th centuries, the river's instability at the mouth (between the Ria and open ocean) resulted in the closure of the canal, impeding the use of the port of Aveiro, and creating stagnation in the waters of the lagoon. This blow to the economy created a social and economic crisis, and resulted in the decrease in the population and emigration. It was at this time that the Church of the Miserícordia was constructed, during the Philippine Dynastic union. In 1759, King José I elevated the town to the status of city, a few months after condemning the Duke of Aveiro (a title established in 1547 by João III), José Mascarenhas, to death. As a result, Aveiro became known as Nova Bragança: it was later abandoned much later, and returned to Aveiro. In 1774, by request of King José, Pope Clement XIV instituted the Diocese of Aveiro. In the 19th century, the Aveirense were active during the Liberal Wars, and it was José Estêvão Coelho de Magalhães, a parliamentary member who was determinant in resolving the problem of access along the Ria, and development of transport, especially the railway line between Lisbon and Porto. It was the opening of the artificial canals, completed in 1808, that allowed Aveiro to expand economically, marking the beginning in the town's growth. The municipality was elevated to the status of town, centered on the its principal church, consecrated to the Archangel Michael, today the location of the Praça da República (having been demolished in 1835). Located on the shore of the Atlantic Ocean, Aveiro is an industrial city with an important seaport. The seat of the municipality is the city of Aveiro, comprising the five urban parishes with about 73,003 inhabitants. The city of Aveiro is also the capital of the District of Aveiro, and the largest city in the Baixo Vouga intermunicipal community subregion. 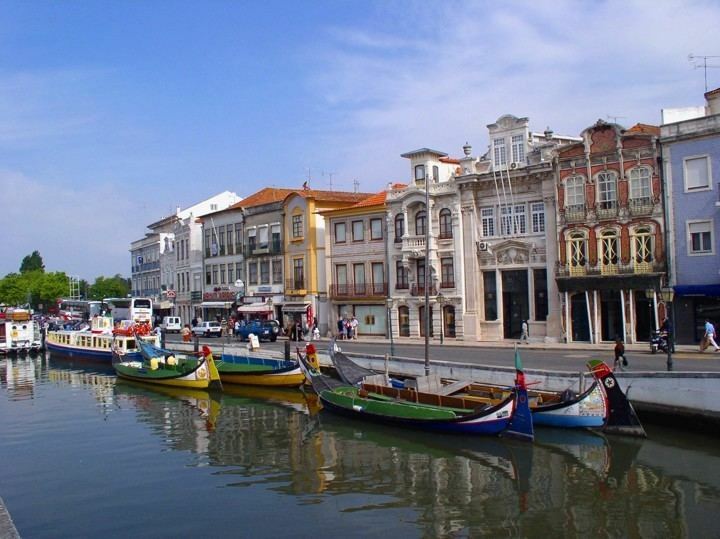 Aveiro is known as "The Portuguese Venice", due to its system of canals and boats similar to the Italian city of Venice. The people's quality of life is very high. 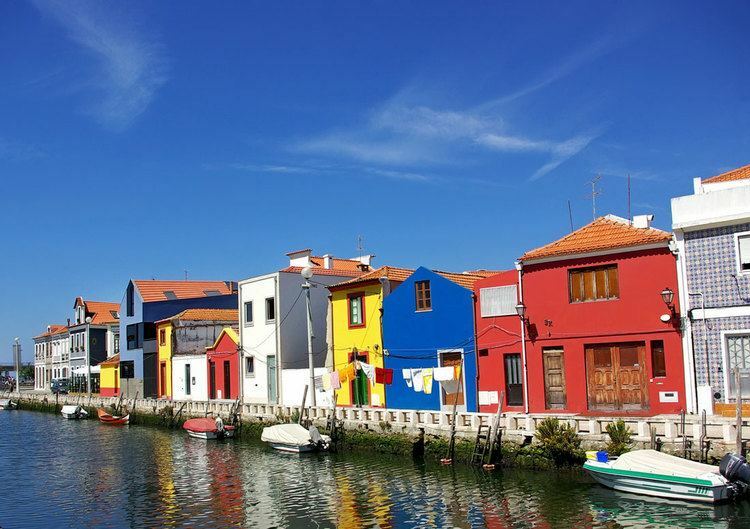 Aveiro has a warm-summer mediterranean climate influenced by its proximity to the Atlantic Ocean. The maritime influence causes a narrow temperature range resulting in summers averaging around 24 °C (75 °F) in daytime temperatures, considerably lower than inland areas on the same parallel on the Iberian Peninsula. As typical of mediterranean climates, summers are dry and winters are wet. A coastal feature is that frosts are rare and never severe. The hottest temperature recorded was 39.3 °C (102.7 °F) set in July. Temperatures above 32 °C (90 °F) are extremely occasional, and averages only a couple of times per annum. São Jacinto is located on an eponymous peninsula, between the Atlantic Ocean and Ria de Aveiro. Aveiro had 61,430 eligible voters in 2006. Aveiro is known for its production of salt and for its seaweed harvest, which is used for fertilizer in the area. The region is also known for the preponderance of ceramics industries and commerce, a reflection of the regions advancements, resulting in a long productive tradition since the late Roman, early Medieval period (reflected in the ceramics kilns). The city of Aveiro has several shopping centers and malls (Pingo Doce Shopping Center, Fórum Aveiro, Glicínias Plaza (Jumbo – Auchan), Aveiro's Shopping Center (Continente & Mediamarkt), Aveiro's Retail Park and the Oita Shopping Center). This city has lots of traditional commerce stores. The most central one being Forum Aveiro with clothes stores, restaurant zone, a book shop and a cinema. The unemployment rate is very low (about 5%), sustained by a university and commerce. The local economy is fed by a series of transport networks that cross the municipal boundaries. Regional gateways include air service through the Aeródromo de Aveiro/São Jacinto (LPAV) and the Porto de Aveiro (Ílhavo/Aveiro). Rail service includes service by Alfa Pendular (between Lisbon and Braga; Lisbon and Oporto; Faro and Oporto) and Intercity (between Lisbon and Oporto as well as Lisbon and Guimarães) trains; suburban links through the Urbanos do Porto and, also, the Linha do Vouga, a narrow gauge railway to Águeda and Sernada do Vouga. The primary expressways and inter-regional thoroughfares include: A1 (between Porto and Lisbon); and the A25 (which links Viseu, Guarda and Vilar Formoso). Moliceiros provide access along the Ria for tourist visits, in addition to traditional fishing or recreational purposes, including regattas. The architecture of Aveiro is influenced by two phases: the pre-Kingdom era, with a number of historical monuments; and the modernist movements resulting from the expansion of economy during the 19th-20th centuries. The city's primary landmark is the 15th century Monastery of Jesus (Portuguese: Mosteiro de Jesus), containing the tomb of King Afonso V's daughter, St. Joana (who died in 1490). The presence of this royal personage, beatified in 1693, proved to be of great benefit when she bequeathed her valuable estate to the convent. In the 17th and 18th centuries, the convent housed a school of embroidery, but was transformed into the Museu de Santa Joana, or simply, the Museum of Aveiro, housing many of these handicrafts. The abundance of 19th-20th century architectural buildings reflects the effects of the boom during that period, including many of the Art Novo and Art Deco buildings, inspired by modernist trends and Nationalist tendencies of the Estado Novo regime. The best of these in the university campus, where many the nationalist architects were involved in construction projects. There are several attractions in the city of Aveiro, including cathedrals, canals and the beache, including the Ílhavo ceramica de Vista Alegre and the beaches of Barra, Costa Nova do Prado, and Gafanha da Nazaré. Aveiro is known in Portugal for its traditional sweets, Ovos Moles de Aveiro (PGI), trouxas de ovos, both made from eggs. Raivas are also a typical biscuit of Aveiro. The municipal holiday is 12 May, the day of Joanna, Princess of Portugal. The University of Aveiro was created in 1973 and is considered one of the most dynamic and innovative universities of Portugal, attracting thousands of students to the city. It is one of the best in Portugal and 354th best university in the World. The University has about 430 professors (with Ph.D. degrees), 11,000 undergraduate students, and 1,300 post-graduate students. Sport Clube Beira-Mar, an association football club. Founded in 1922, it has a sports academy with various youth levels participating in all kinds of sports codes notably in Basketball and Futsal in both National and Provincial levels. The club used to play at Estádio Municipal de Aveiro, designed by Portuguese architect Tomás Taveira for Euro 2004, where it held two group matches. The other long established club in the city 'Os Galitos' was founded in 1904 and houses a wide variety of sports. 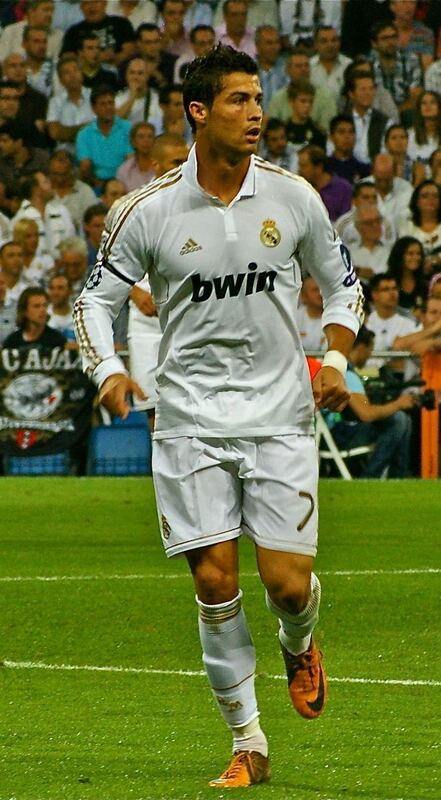 Some of its older and stronger sports include basketball and water sports such as swimming, sailing and rowing. Other sections in the club include chess, snooker, pool and billiards among others. Despite all the sections of the club, rowing is the modality in which the club has maintained a long and proud tradition going back more than one hundred years, reaching the highest possible excellence as a club with several of its individual and team of rowers having successfully represented Portugal in international tournaments including the Olympic Games. Joao Afonso de Aveiro, explorer, first to visit the region of Benin in Nigeria (naming the river located there, the Rio Fermoso), helped to build Mina fort, but never returned; he died in the region, credited for bringing to Lisbon pepper, and as one of the discoverers of the Newfoundland fisheries. Zeca Afonso (2 August 1929 – 23 February 1987), a singer and composer, José Manuel Cerqueira Afonso dos Santos was one of the most influential folk and political musicians in Portuguese history.